ibis Styles Canberra Eaglehawk is the gateway to the ACT region, the ideal Canberra accommodation solution. Set amongst 30 acres of landscaped native gardens and bushland, with kangaroos, tennis courts, gymnasium and a swimming pool. With room types to su it all needs and budgets, the resort offers 151 spacious accommodation rooms including 19 Two Bedroom Suites and Spa Suites. 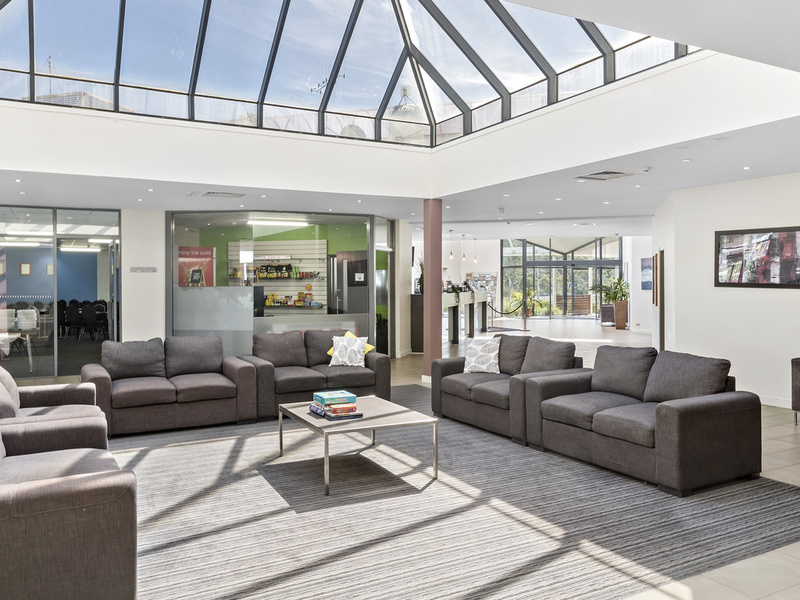 Providing the ideal base for exploring Canberra and its surrounds, ibis Styles Eagle Hawk is just 20 minutes from Canberra's city centre and airport. Guests staying at the hotel can explore the city, its parks and attractions, and its Nature Reserves. Contemporary and stylish, ibis Styles Eagle Hawk features a range of convenient facilities, including a bar, Café MUNCH and Wintergarden Restaurant with lovely views overlooking landscaped gardens. The hotel also features event space for up to 300 guests. With a variety of guest room configurations available, ibis Styles Eagle Hawk is the ideal choice for both business and leisure travel. Perfectly suited for individuals, families, couples and groups of friends travelling together. Extending from Café MUNCH, the Bar is a relaxed, comfortable bar where guests can enjoy a selection of ice cold beverages and snacks.